Jose Luis Froiz Espiño, profession: Inventor. To understand the origin and philosophy of ESYPRO, it is necessary to understand the philosophy and origins of its founder. Jose Luis Froiz Espiño he is the founder partner of Esypro, he was born in a small village inside Galicia. Since he was very young and guided by his inner need to “create things” he begins his higher education in the technical schools in Basque Country, where he combines his academic activities and work in several companies with an intense participation in different technical forums at universities. He develops his processes knowledge, its improvement and optimization in Catalonia, where his immersion in the Automobile industry takes place, working at the engineering department of an important sector matrix. In 1973 he returns to Galicia, land to which he feels profoundly identified and in which, despite the difficulties he will launch his entrepreneurial project. First, in another automobile matrix, he keeps working on the improvement of processes through the development of equipment, tools and specific machinery; later on, in 1987, Esypro is born. Its strong technical specialization did not keep him from having a wide business vision, which he canalizes through the professionalization of the company, incorporation of highly qualified human resources, new technologies and techniques (CAD, coaching and computerized systems), very popular today, but not so in the 90’s. He was the creator of some of our main products, like the Esyconveyor. His last project in ESYPRO was creating the R&D+i department, which he personally lead for a while. In 2008, he retires, when he considers that the next generation is mature enough and well prepared to continue. Visión de futuro y creación de riqueza es nacer en un entorno donde el mayor avance tecnológico es el arado romano, desarrollarse intelectualmente y capacitarse con los mínimos medios en los mejores foros nacionales para regresar a su tierra e iniciar un proyecto empresarial que, además de apostar por la creación de empleo cualificado, vende e instala tecnología en países tan punteros como Francia, Alemania, Italia o EE.UU. 2013. Asian market research. Reorganization of the USA market. Implementation of working flexibility. Virtualization of the information systems. 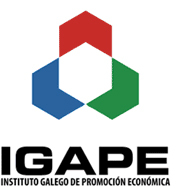 Edition of the corporate image. Relaunching the R&D+i department as an independent entity and with a definded structure for itself. Certification of the design and R&D+i UNE 166002:2006. 2014. Creating Tamarino, new business oriented to graphic communication. Expansion of logistics line by founding Esypro Mexico . Building starts Prototyping Lab and R & D. Exploration of the Brazilian market first projects in Brazil. 2009. Extension of the ISO-9001:2008 certification for all business lines. Implementation of the environmental normative ISO-14001:2004. Incursion to German market. 2010. Definition and launch of two new business lines: proEnerSY dedicated to the development and commercialization of biomass combustion equipment. And EasyWorks, dedicated to the implementation of solutions for product development in 3D. 2011. Incursion to the Italian market, matrix and auxiliary. Specialization and independence of the quality and risk prevention functions. proEnerSY commercial operations begin. 2012. Consolidation of the italian market with Almaflex. Exploration of the USA market. Study and redefinition of the R&D+i department for its independent functioning from the API (Projects and Engineering Department). 2004-2007. International expansion of the Group, especially in the ESYMan and ESYControl activities. Diversification of the product. Consolidation of the French market. Javier Froiz assumes the General Manager position. 2008. Restructuration of the business lines and societies. Reintegration of the activities related to the construction business, fusion of ESYTeg and ESYMan: ESYPRO, logistics and processes engineering is born. 1997-2000. Increase of collaboration with technological centers and universities for R&D activities. 1999. Constitution of IFCI engineering, centered in automatisms and software development; it will be the base for ESYControl. 2000. Certification of the quality system ISO 9001. 2003. Professionalization of the company: constitution of the group as a holding society with the property of all the business lines. Creation of the “sucesión” protocole. 1987. Foundation of ESYPRO SL., by José Luis Froiz, oriented to do multi sectorial productivity improvement studies. 1988. Begins the fabrication of machinery with own R&D for the natural stone sector; it will be the base of ESYTeg. 1994. Constitution of Esypro Manutención, centered in the indutrial logistics activity; it will be the base for ESYMan.